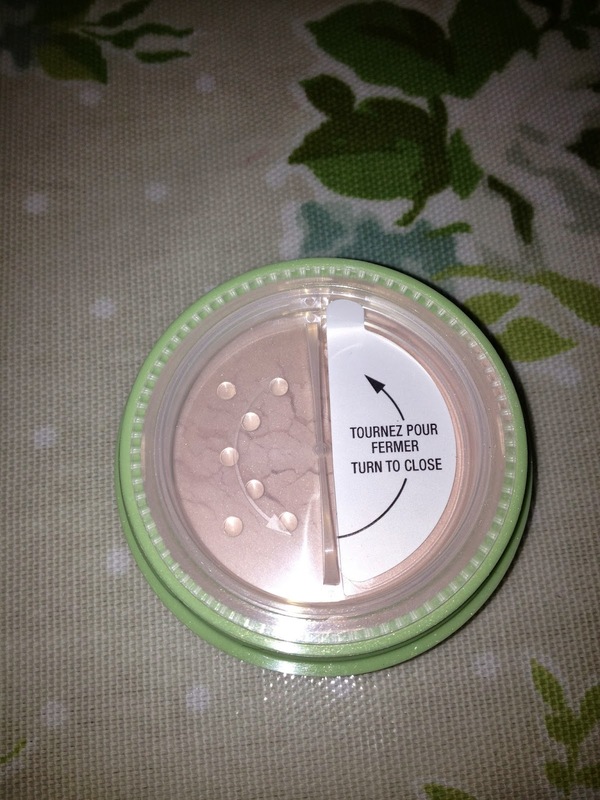 One of my favourite products at the moment is the new Bourjois Java Rice Powder. 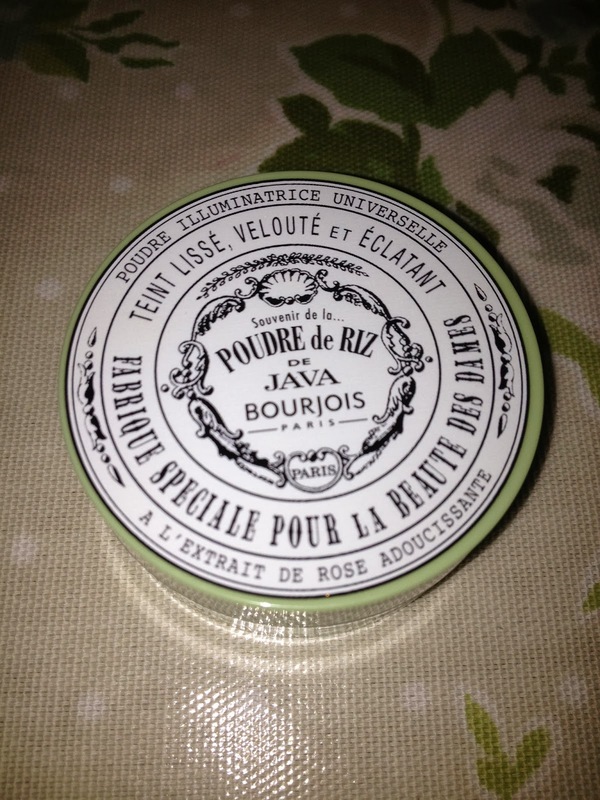 To celebrate Bourjois' 150th anniversary this year, Bourjois have re-released their first ever international best seller, which is the iconic Java Rice Loose Powder from 1879. It is a really fine lightweight powder for illuminating skintone and comes in one transparent "universal" shade, although I'm not sure how well it would work on darker skin tones. 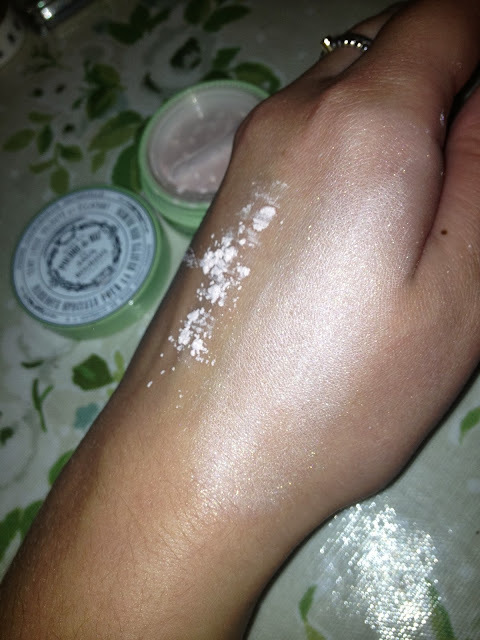 It can be used over foundation to set your makeup but I think that all over it would look too disco-bally (might be a good item for pale illuminated Halloween makeup though) or more subtly as a powder illuminator, which is what I use it for. I use my Real Techniques setting brush to dust a little powder at the tops of my cheekbones and sometimes down my nose and brow bones. The setting brush is the perfect size and is brilliant for blending it in too. 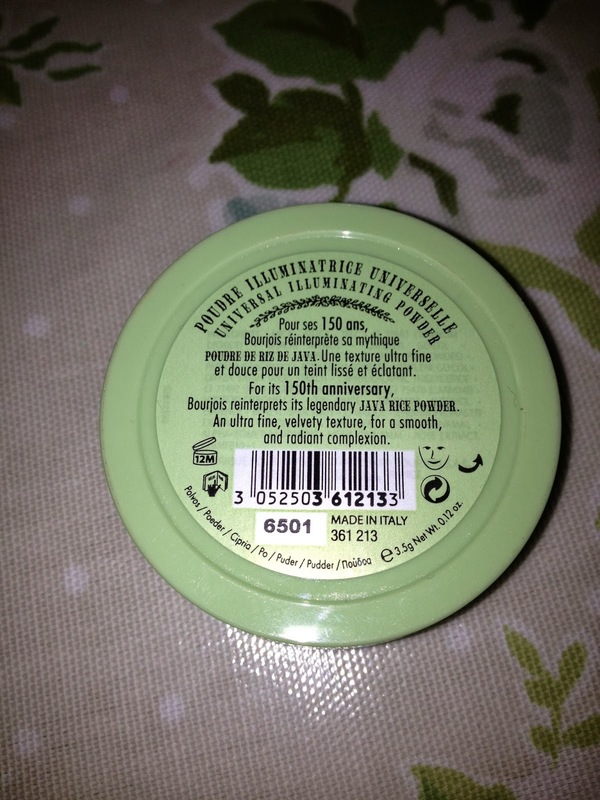 The scent of the powder is quite an old-fashioned floral smell in my opinion but I guess that goes hand in hand with the vintage inspired product, I am not overly keen on it but it doesn't bother me too much as I love the powder. I also wanted to mention that I like the fact you can open and close where the powder comes out of, as I find that loose powder ends up getting everywhere otherwise! Lastly, as some of you already know, I am a total sucker for nice packaging and I really love the vintage inspired packaging they have created for this product to celebrate the re-release. The Real Techniques brush can be bought for £8.99 from boots here and the powder is available now from Boots and Superdrug and is priced at £9.99, which in my opinion is a tiny bit steep but I do love it! Have you tried the Java rice powder yet? 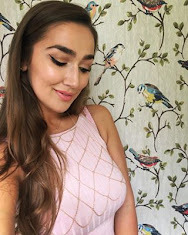 Let me know what you think my lovelies, I love your comments.